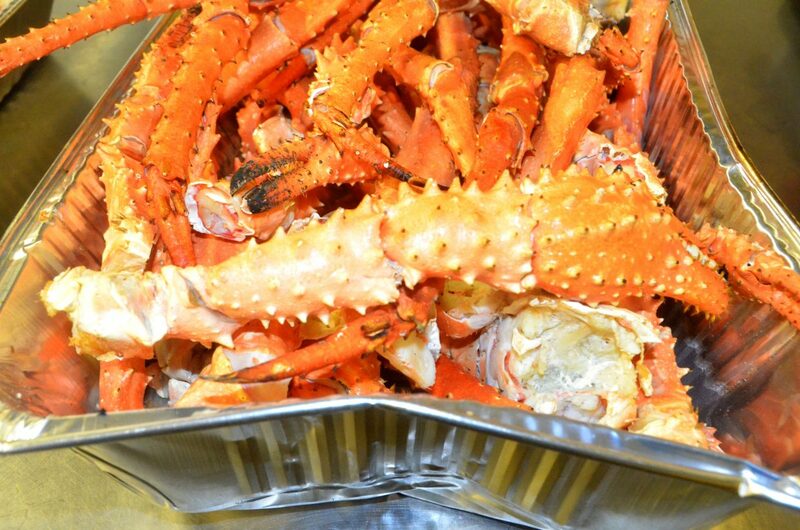 Hundreds of pounds of king crab legs were the main course at Craig Chamber of Commerce Crabfest. 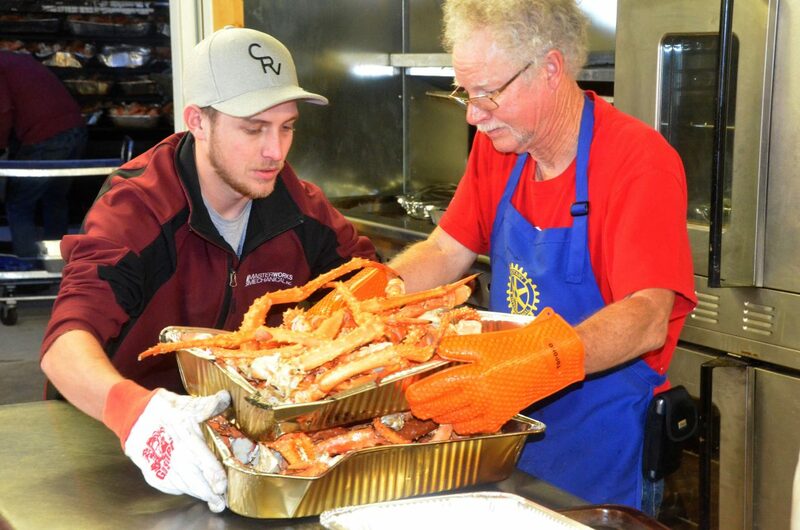 The claw-cracking table provides an easier way to access crab meat during Craig Chamber of Commerce Crabfest. 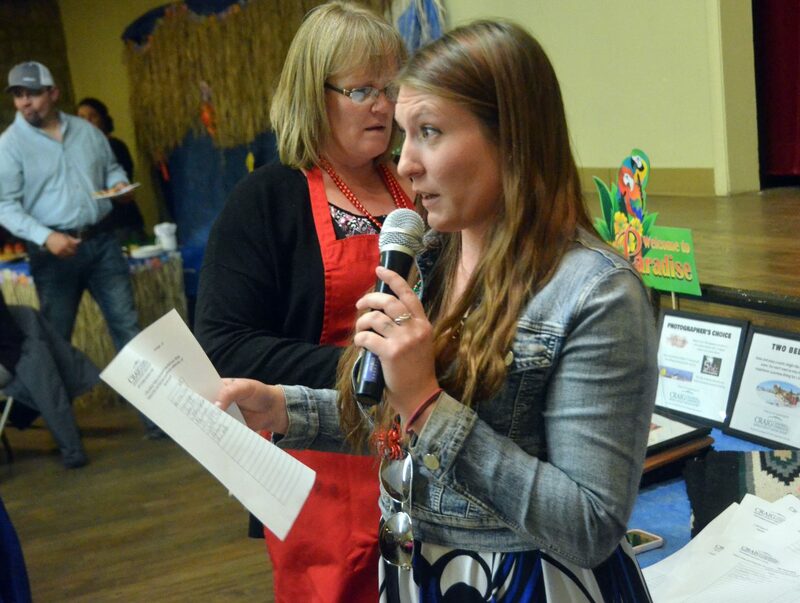 Kaitlyn Marchbanks announces winning bids following the silent auction at Craig Chamber of Commerce Crabfest. 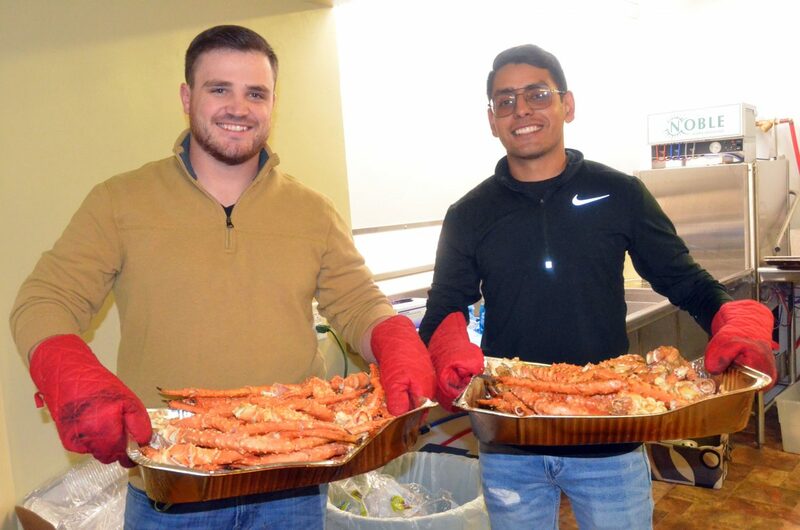 The first wave of crab legs is on its way through the Moffat County Fairgrounds Pavilion kitchen Saturday during Craig Chamber of Commerce Crabfest. 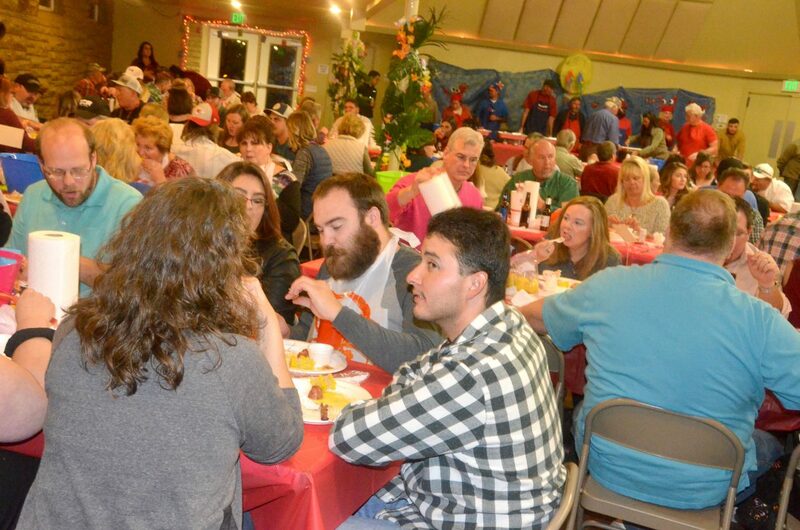 A long line of Craig patrons await their crab legs and other fixings during Craig Chamber of Commerce Crabfest. 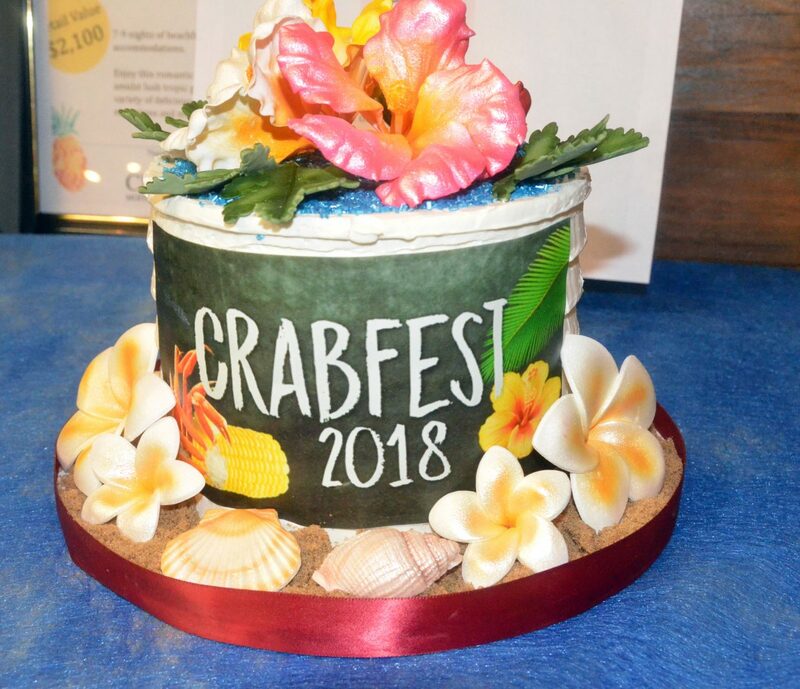 A decorative cake is up for bids in the silent auction at Moffat County Fairgrounds Pavilion during Craig Chamber of Commerce Crabfest. 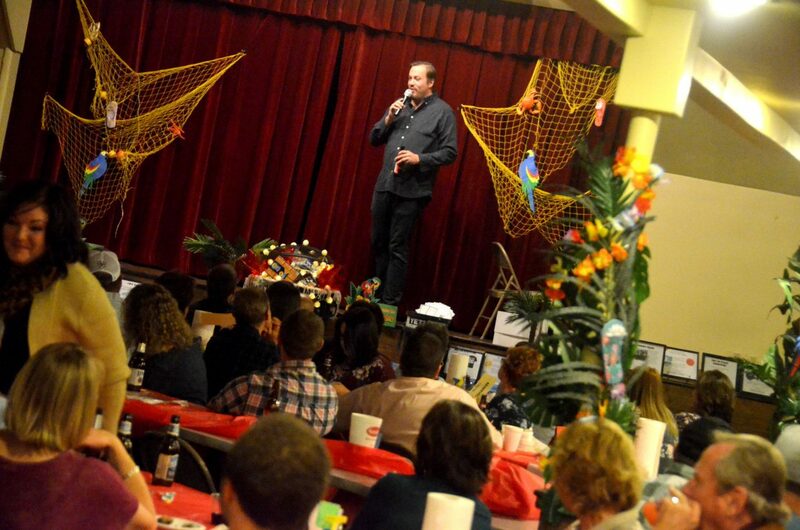 Denver comedian Elliot Woolsey cracks jokes for the crowd Saturday at Craig Chamber of Commerce Crabfest. 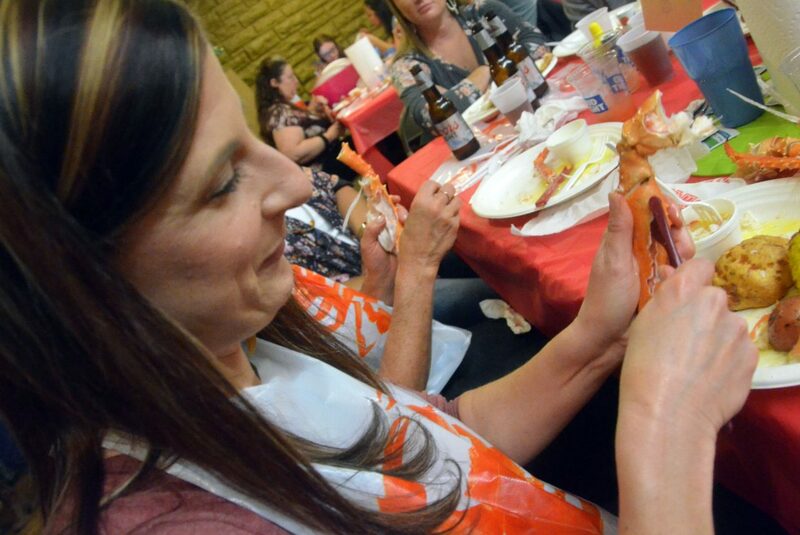 Deb Durbin cuts into a crab leg Saturday at Craig Chamber of Commerce Crabfest. 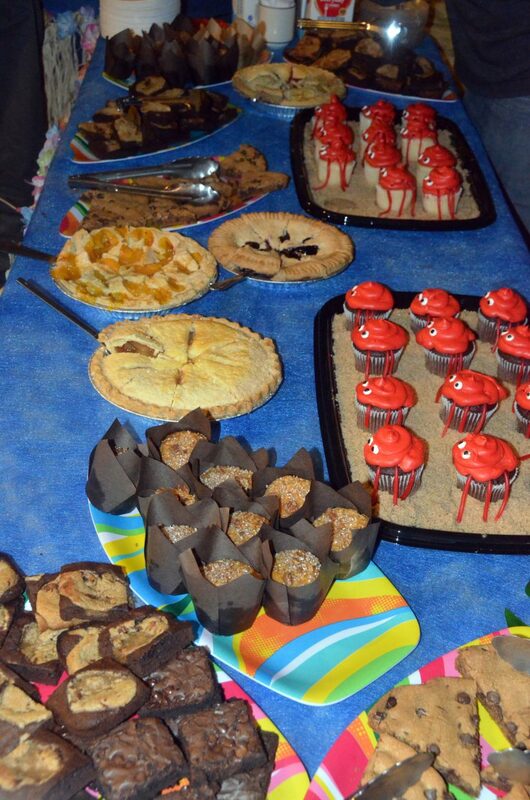 A fully stocked dessert table awaits patrons at Craig Chamber of Commerce Crabfest. 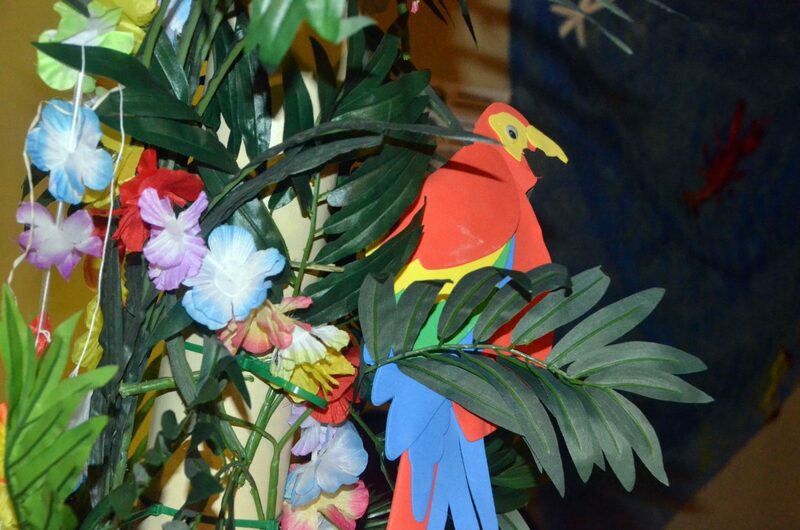 Nautical, tropical décor provides a different look to the Moffat County Fairgrounds Pavilion during Craig Chamber of Commerce Crabfest. 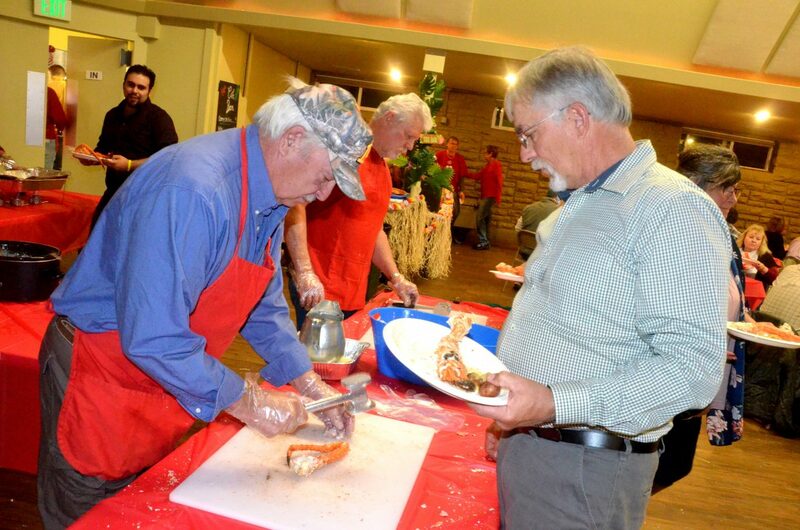 Volunteers bring freshly-cooked king crab through the Moffat County Fairgrounds Pavilion kitchen at Craig Chamber of Commerce Crabfest. 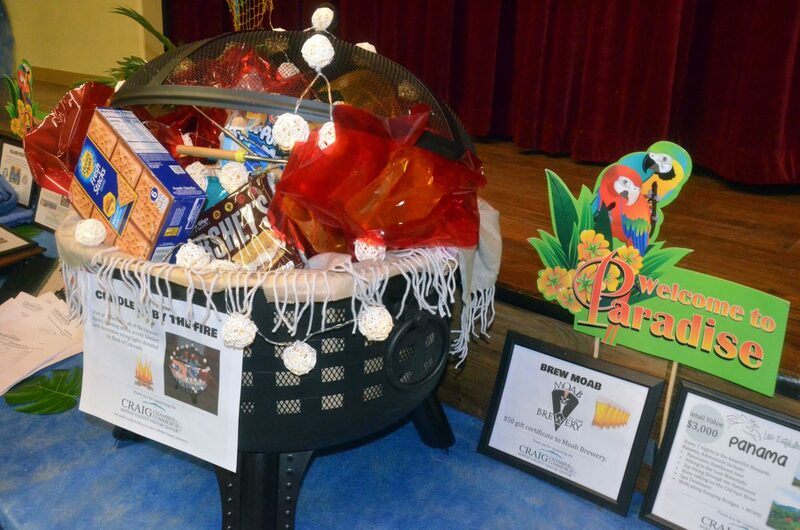 A portable fire pit stuffed with s'more fixings is among the items up for bids in the silent auction at Craig Chamber of Commerce Crabfest. 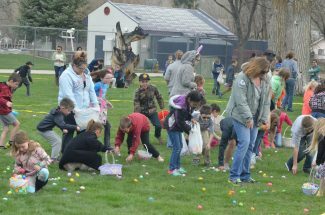 It was a claw-some night Saturday at the Moffat County Fairgrounds Pavilion as the 2018 Crabfest hosted by Craig Chamber of Commerce provided tasty crustacean delights. 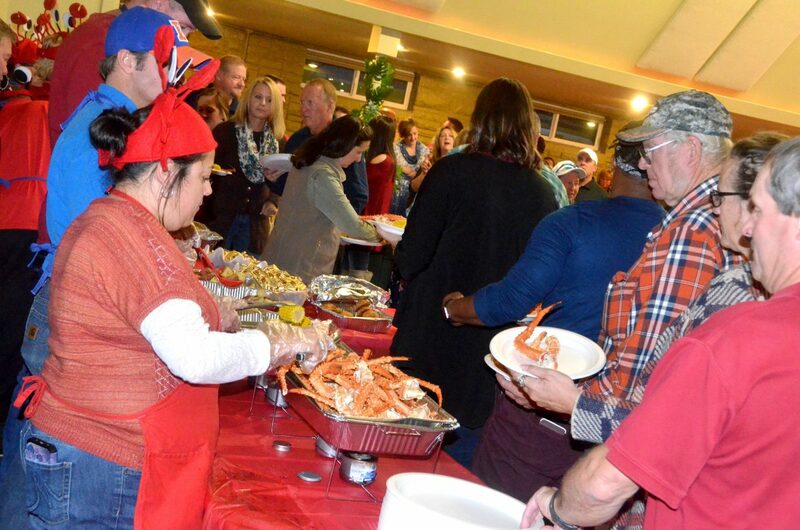 Volunteers served up trays and trays with hundreds of pounds of king crab legs to a packed house, as the annual Chamber fundraiser returned to the Pavilion after previous years at Boys & Girls Club of Craig. 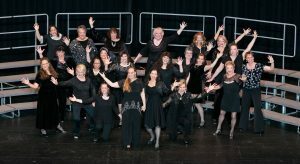 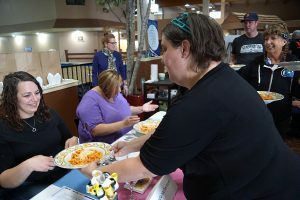 With plates overflowing with red potatoes, corn-on-the-cob and more sides — not to mention cups of butter — patrons tied on their bibs, picked up their utensils and dug in for the succulent meat, circulating back through the building to hit the dessert table and to bid on bundles of gifts and services up for auction. 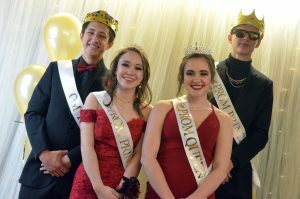 The night concluded with laughter as Denver comedian Elliot Woolsey hit the stage to entertain with a routine touching on his considerable height, relationships and a few pointed jabs at the rarity of shellfish in the Centennial State, cracking jokes about cracking crab. 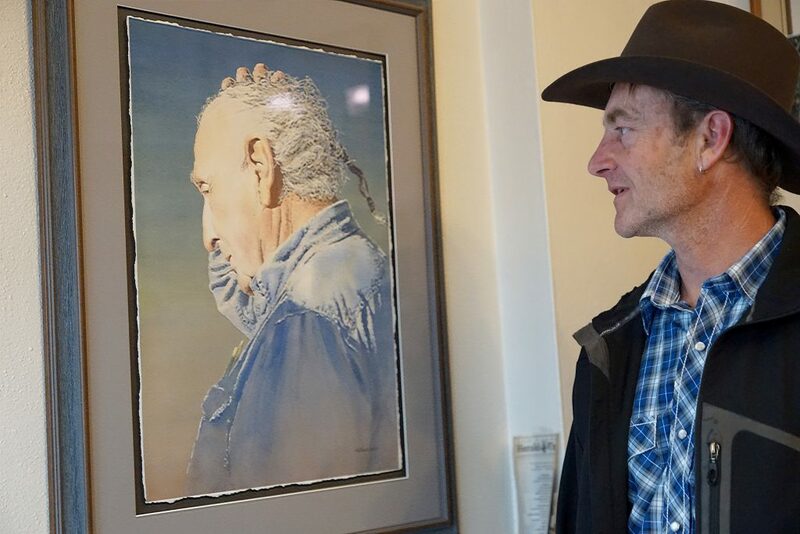 “When I was growing up fishing with my dad in the Poudre River, I don’t remember ever pulling up any crab pots,” he laughed.